zeppyblimp (Maryland) on 2016-09-15 14:45:35. I'll give it 4 stars because the photography is quite good and the subject is of great interest. 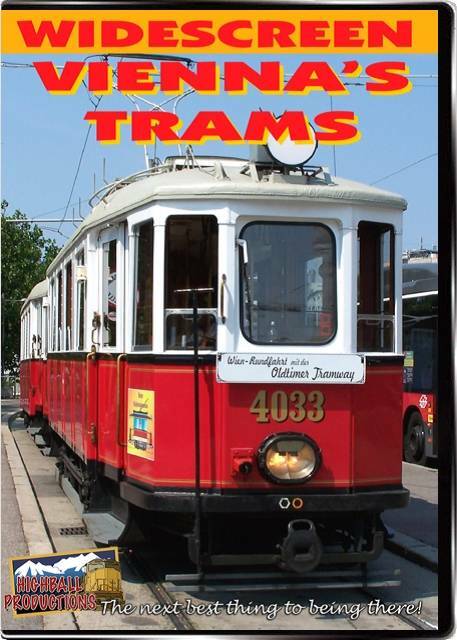 Vienna still has one of the world's largest streetcar systems. Customers should be aware, though, that the video is relatively brief (60 minutes) and almost all of it was shot on the Ringstra�e, the boulevard that encircles downtown Vienna. We get to see many run-bys of the lines that run on the Ring. Also, many of the lines that originate there, but only while they are within a few blocks of the Ring. Not much narration. No system or route maps are shown. We do get to see some interesting engineering on or near the Ring: the trains entering W�hringer Stra�e from the underground terminal at Schottentor, reserved rights-of-way, and brief 4-track sections where multiple lines connect. But no video of suburban trackage or private rights of way outside downtown. The Lokalbahn (interurban) to Baden is only shown in downtown Vienna. Historical material is limited to several run-bys of 1920s vintage equipment on sightseer tours. Despite those caveats, this is a highly enjoyable video of attractive and well-maintained streetcars in one of the world's most beautiful cities.